Encounter some of the nastiest thugs in the Street Fighter II: Special Champion Edition developed for Sega Genesis platform. With four boss characters from the previous edition added to the playable list, you can choose your character from the 12 fighters in this Sega Genesis game. Each character in this fighting video game comes with unique powers and fighting style. With alternate color schemes introduced in the Street Fighter II: Special Champion Edition, you and your opponent can play with the same character. 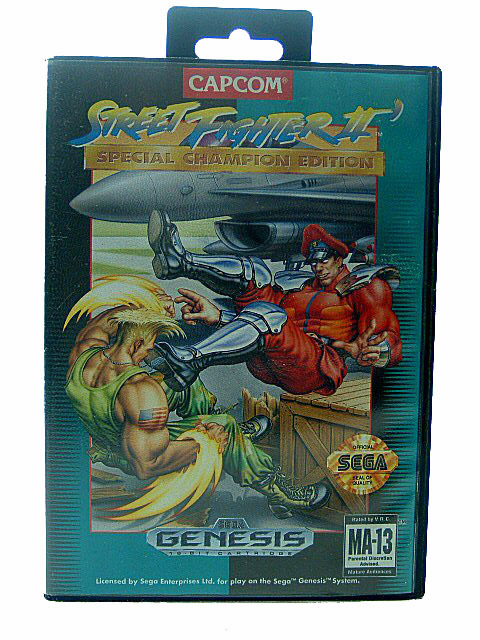 Your have a total for four rounds in this Sega Genesis game to score a definitive win over your opponent. Fight for your life in some of the most diverse and amazing virtual environments in this fighting video game. Combat solo against the computer or ask your friend to battle against you and add some more fun to the Street Fighter II: Special Champion Edition.